Benjamin Moore has joined with The Colonial Williamsburg Foundation’s WILLIAMSBURG brand to launch The WILLIAMSBURG® Color Collection by Benjamin Moore , an assortment of paint colors authentically rooted in the history of our nation and its founding. The new 144-color palette represents a unique intersection of history, science and design that reflects the actual colors that existed in the 18th– and 19th-century and brought to customers through the most advanced paint technology in the industry from Benjamin Moore . "This work showcases the close collaboration between two firms steeped in a rich heritage, both with a passion for bringing history into the home," said Carl Minchew , Benjamin Moore ‘s Vice President of Color Innovation and Design. "The WILLIAMSBURG® Color Collection by Benjamin Moore offers our customers beautiful shades in a palette of amazing, accurate colors that are as stylish today as they were 250 years ago." Colonial Williamsburg’s renowned research team of historians and conservators examined period documents, paint samples, wallpaper and architectural fragments, and through this process discovered fresh and unexpected color findings. The Benjamin Moore team then carefully studied pigment compositions in order to precisely match these colors using the latest scientific methods to ensure the highest degree of authenticity to the original hues. 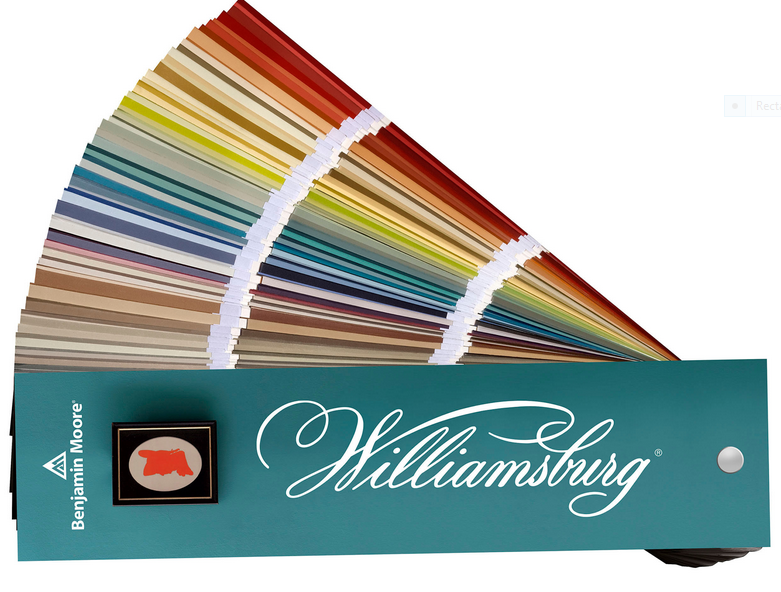 As a result, The WILLIAMSBURG® Color Collection by Benjamin Moore presents a vibrant yet complex array of shades as they appeared more than 250 years ago that can be effortlessly incorporated into the modern home. "It has been very exciting to work with Benjamin Moore developing a paint palette based on historic precedent," said Matthew Webster , Director of the Grainger Department of Historic Architectural Resources for The Colonial Williamsburg Foundation. "Together we developed the colors using almost 90 years of paint research and an understanding of historic production methods creating a palette that embodies the WILLIAMSBURG ‘trend meets tradition’ theme. It’s personally satisfying to see research become reality with a palette that is consistent with colors that would have been found in the 18th century." For more information, visit www.benjaminmoore.com.